Eagle 2000B - Berran Industrial Group, Inc. 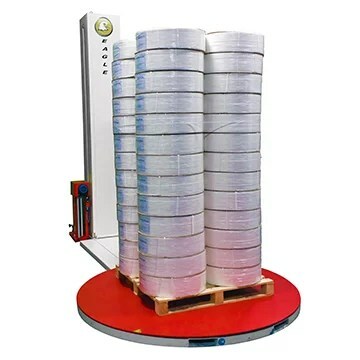 The Eagle 2000 series stretch wrappers feature a powered film carriage unit to maximize film efficiency. 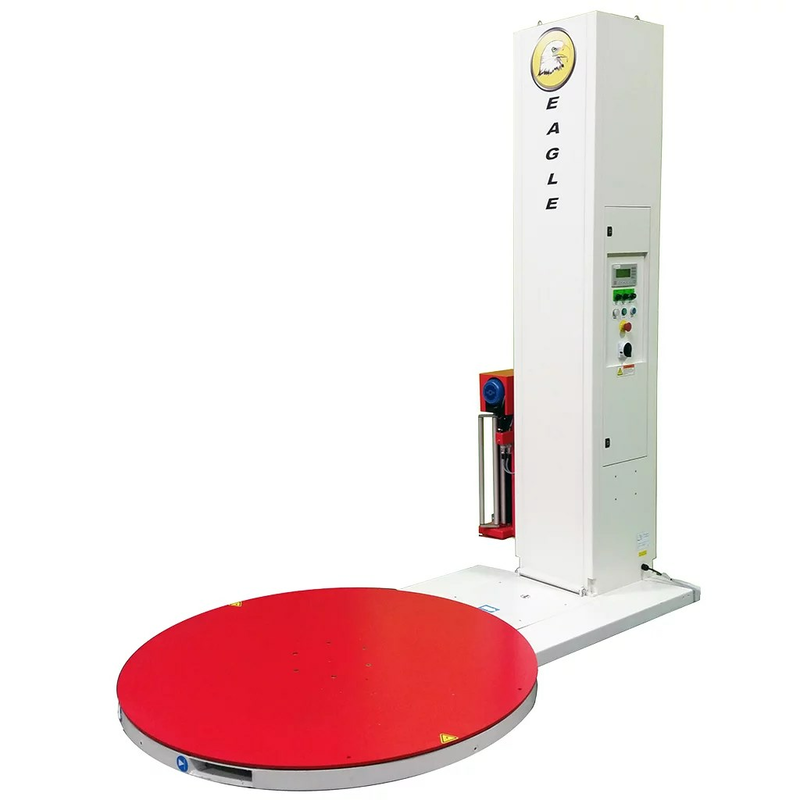 First a photoelectric sensor automatically recognizes the load height. 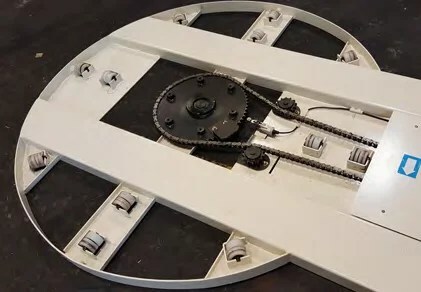 Then the carriage travel will automatically adjust to create an effective wrap cycle. Additionally the turntable offers a soft start/soft stop feature for gentle handling. There upon completion of a job cycle, the turntable resets itself automatically. 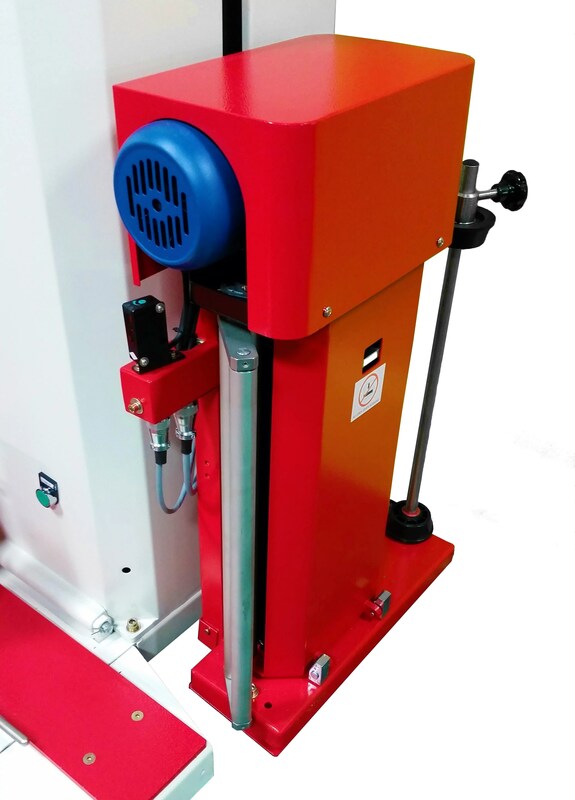 Therefore this allows for proper orientation of the load for pallet jack or forklift insertion. Even more available features offer increased production and a cost per load savings. Nevertheless, owning an Eagle 2000B series stretch wrapper just makes work life more efficient. 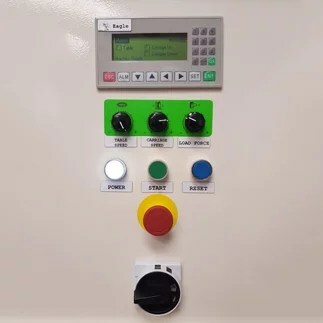 Simplified control panel for easy operation. Eagle powered pre-stretch carriage capable of 100% to 250% film pre-stretch.